Croatia, situated on the stunning Adriatic Sea, could be described as one of the most beautiful countries in Europe. Its unique location, deep cultural roots, incredible history, and Mediterranean climate make it ideal for getting away from the stresses and strains of modern day life. The island of Hvar has become a fashionable destination which welcomes international stars like Beyonce and Tom Cruise and the walled city of Dubrovnik is protected as a UNESCO heritage site and a favourite destination for cruise ships. North towards Italy is the Istria peninsula, well known for its wine, cheese and leisurely lifestyle. 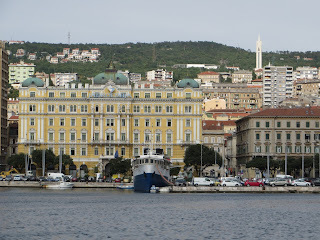 However, I want to share with you the alluring town of Opatija located in the Kvarner Bay, in the North of Croatia, at the foot of the Mount Ucka. 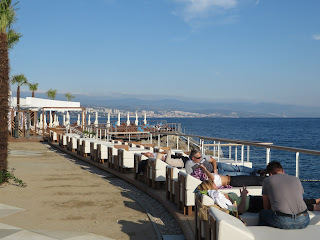 The centre of the Riviera, Opatija is surrounded by numerous small towns and villages, from Volosko to Lovran, connected by a stunning ten kilometre seafront promenade known as Lungo mare. In the past doctors would prescribe a trip to Opatija as a cure-all for a variety of illnesses, so much so that the Austrians built a direct train line from Vienna to Opatija in 1873 to enable the swift transportation of its dignitaries to the exclusive resort. On the back of this tradition the region has developed into a world class wellness centre. I was instantly struck by Opatija’s distinctive architecture that evokes the times that are long gone by, but whose traces are still present at every turn: the town's historic and modern hotels and villas surrounded by perfectly manicured parks and fountains, still today exude the 19th-century aristocratic charm. Whilst enjoying a walk along the Lungo mare you can stop and descend the steps at various points into the crystal clear and turquoise blue waters. Although there is no beach the water is relatively shallow and calm, and you can enjoy a swim followed by a drink on one of the many sun loungers that line the promenade, an ideal way to relax and recharge your batteries. can take a short boat ride to the island of Krk and visit its cobbled Medieval towns and Cathedral. Croatian prices are surprisingly reasonable, expect to enjoy a full meal in a beautiful restaurant by the sea for around 10 euros. I dined at the small family owned Ruzman, located down a lost side street, and I would certainly recommend a visit if you are looking for a traditional rustic meal at a great price. For evening entertainment, I recommend visiting the beautiful terrace of the Hotel Kvarner, which was built in 1884 as the first hotel in the town. The newly refurbished terrace hosts attractive musical and stage performances. If you are a lover of jazz, then Opatija is the place to visit every year on the first weekend in July. Since 2003, at this time of year the town plays host to the Liburnia Jazz Festival, with a programme tailored to meet the expectations of even the most demanding audiences. Croatia, in general, is quickly becoming a travel hotspot and until recently most visitors to Opatija were perhaps considered middle aged, but that too is beginning to change with an influx of younger couples and families, particularly from the country's capital, Zagreb, a 90-minute drive away. Opatija also benefits from its own micro climate, with mild winters and gorgeous spring and summer seasons, it really is a holiday destination of elegance and style! 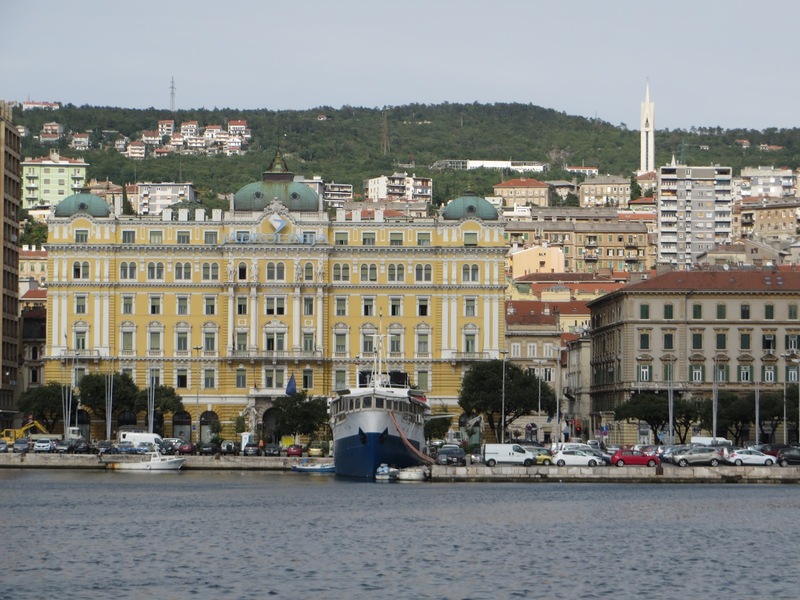 With flights available on budget airlines to the city of Rijeka, followed by a 40 minutes cab ride costing around £25, Opatija is very accessible. Take a look at these two great 4 star packages I have put together and contact me if you would like to book or discuss other options for visiting Croatia.